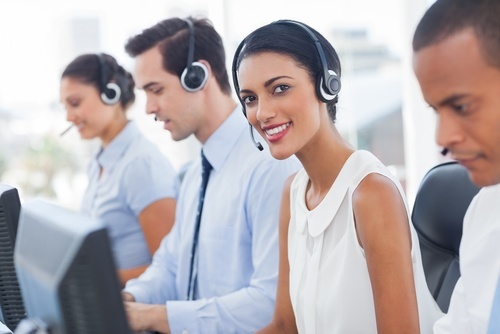 Our Help Desk/Customer Support Services operate on a 24/7 schedule and we strive to respond immediately to every call with a live support specialist. Should a customer not be able to reach a live operator due to call volumes, they have the option of waiting in our queue or leaving a voice mail. If a voice mail is left in our system, a notification is immediately sent to our team. We utilize a fully integrated Help Desk Ticketing system developed specifically for our business which tracks all support calls and incidents. This system was developed in-house and is fully integrated with all other relevant systems thereby offering a cohesive support system. Our Help Desk also incorporates built-in escalation capabilities and through these escalation levels, we are able to respond quickly to any issue. It is our belief that Our Help Desk/Customer Support team be staffed by our own fully trained employees and not outsourced. Our development team works closely with our Help Desk/Customer Support team which enable us to respond very quickly should a ticket require further escalation. A detailed analysis of all support calls occurs on a regular basis. The outcome of this analysis further strengthens our products and support. We work very closely with our clients during all phases of our partnership, from determining the best solution, through solution testing, delivery, implementation and training. We also follow up with our customers to ensure proper use of the device post installation.